7 − = 6 Required Please enter the correct value. China's yuan is now a global reserve currency. The International Monetary Fund (IMF) made it official on Monday. A few weeks earlier on Nov. 13, the organization had recommended the yuan, also known as the renminbi, to be included in its $280 billion basket of currency reserves known as Special Drawing Rights (SDR). Now the Chinese yuan is placed alongside the U.S. dollar, the Japanese yen, the British pound, and the euro, where it will make up 10.92% of the basket. Managing Director Christine Lagarde said the yuan's inclusion was based on "a clear indication of the reforms" China has carried out. Reserve currencies are held in significant amounts by governments and institutions around the world in order to help conduct transactions in the global market. Designation as a global reserve currency sends a message about a currency’s economic heft to the rest of the world. To be in this VIP club, a currency must be “widely used,” “widely traded,” and “freely usable,” according to the IMF. Indeed, the IMF has pushed China toward economic reforms. Earlier this year on Aug. 4, the IMF said China would have to move ahead with market liberalization before it would allow the yuan in. "The [August IMF] report signals that the decision about the yuan's inclusion in the basket will hinge on financial market development, further opening of the capital account, and greater exchange rate flexibility," Cornell University professor Eswar Prasad told The Wall Street Journal on Aug. 4. 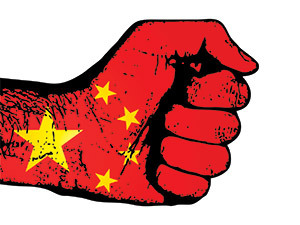 "China doesn't need the IMF, all it wants is the legitimacy a 'reserve currency' confers on the nation," Money Morning Capital Wave Strategist Shah Gilani said on Monday.